You would not have guess it. 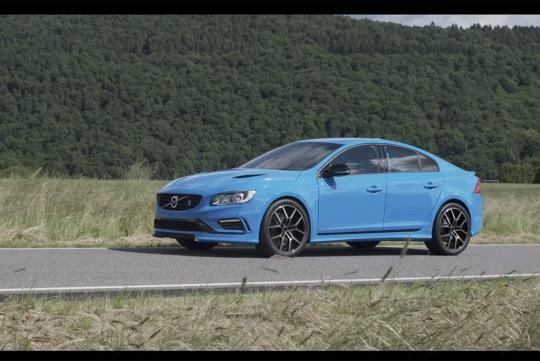 Volvo has just revealed that its 362bhp S60 Polestar sedan had actually set a Nurburgring lap record last year for the fastest four-door sedan that had ever been clocked around the Green Hell. With the guidance of Cyan Racing, Polestar went to the ring after last year’s FIA World Touring Car Championship race to test the road car. It did not set out to push for a lap record but in the process of testing, the S60 Polestar actually managed to set a lap time of 7:51.110. To put things into perspective, BMW's much faster 560bhp F10 M5 is nearly four seconds slower. However, being Swedish, they did not see the point in bragging about it at the time. No details have been released on whether the timing was set using semi-slick tyres or factory tyres nor was there confirmation on whether it was a full lap or just a bridge-to-gantry timing. Alfa Romeo's 510bhp Giulia Quadrifoglio has since set a faster lap time of 7:32 minutes and is the current record holder. The sweds aren't the show off type. They just set a record and keep to themselves. They know they can do it and it's good enuff, no need to blow the trumpet and announce to the entire world. Why can't other car makers be like them?